The ME812U controllers have the speed, power, memory and I/O flexibility to handle the most demanding control applications in the industry. Capable of controlling multiple pieces of equipment simultaneously, this robust BACnet controller can support complex control strategies with plenty of memory for trends and is capable of third-party integration using other communication protocols. 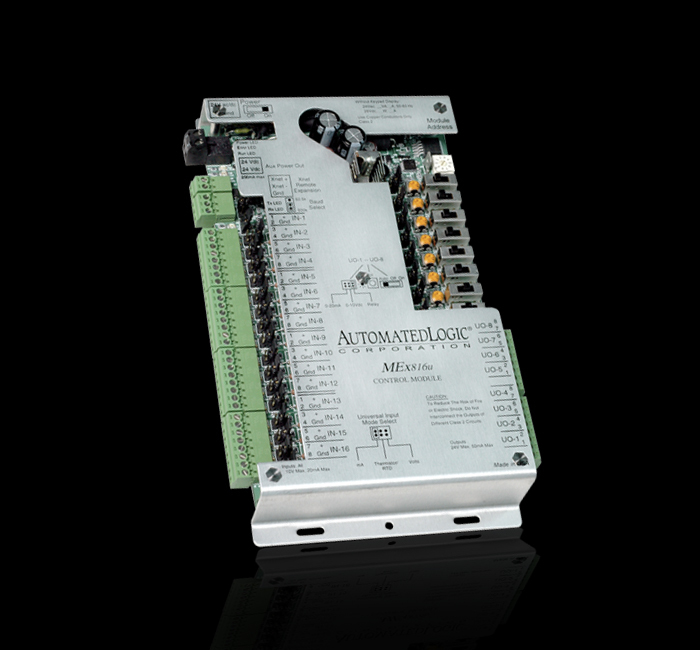 AUTOMATED LOGIC’S RC642 ROOM CONTROLLER PROVIDES UNPRECEDENTED POWER AND FLEXIBILITY TO CONTROL A VARIETY OF PACKAGED HV-AC EQUIPMENT. ATTRACTIVELY PACKAGED, THE RC642 MOUNTS DIRECTLY ON INTERIOR WALLS AND PROVIDES LOCAL SETPOINT ADJUSTMENT, SCHEDULE AND OVERRIDE CAPABILITIES. 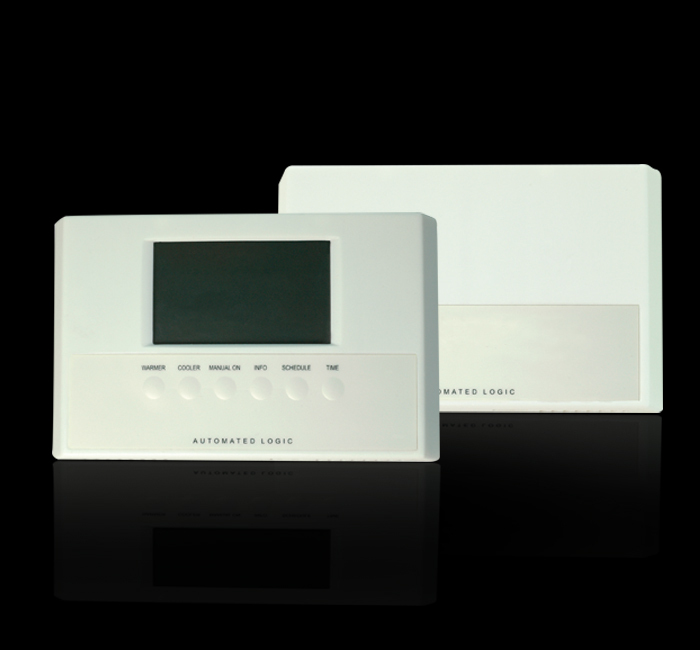 THE ROOM CONTROLLER HAS A LARGE HIGH CONTRAST LCD AND EASY-TO-USE OCCUPANT CONTROLS. ADDITIONAL REMOTE RS SENSORS CAN EASILY BE NETWORKED TO THE ROOM CONTROLLER FOR LARGE SPACES. 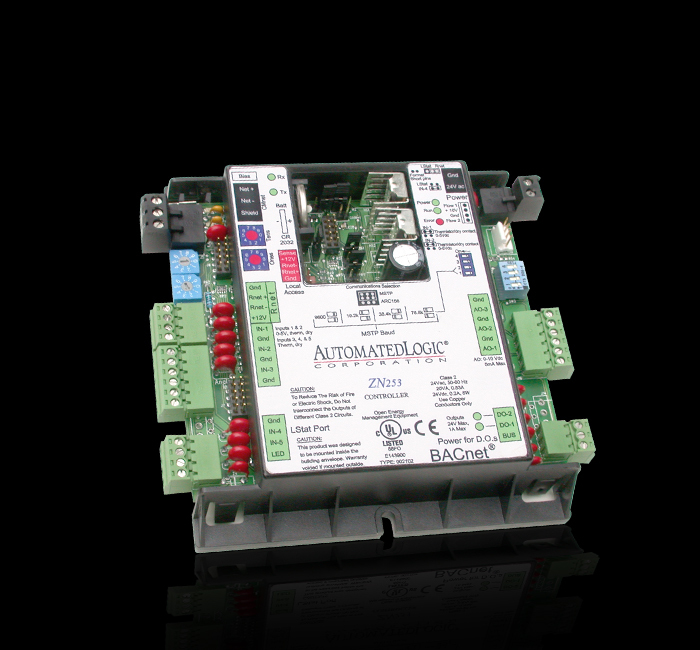 The ZASF is part of a family of control modules designed specifically for VAV terminal box applications. It is designed to be used with the ZN341v+ and ZN141v+. It mounts directly on the secondary VAV damper shaft and provides an integral actuator and a second integrated flow sensor for damper positioning and air-flow sensing in dual duct or tracking systems. 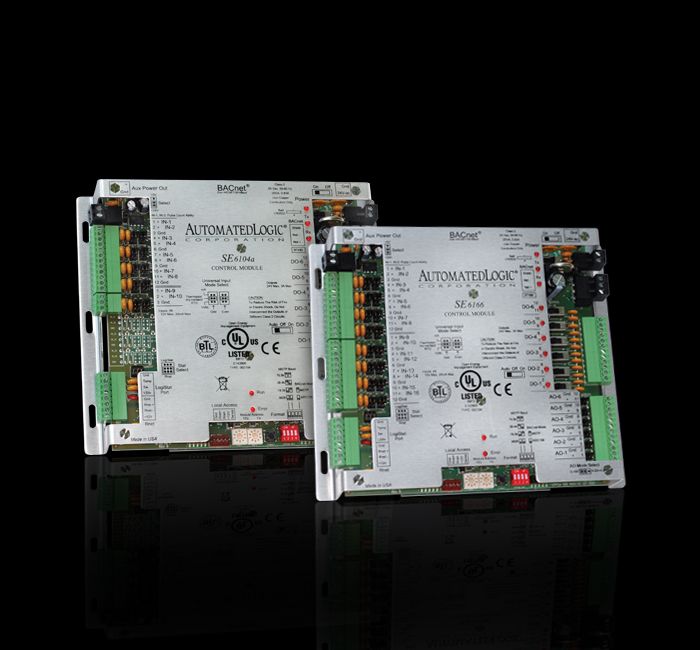 The MEx series of I/O expanders is designed for the powerful ME series of controllers, and for the most demanding control applications in the industry. 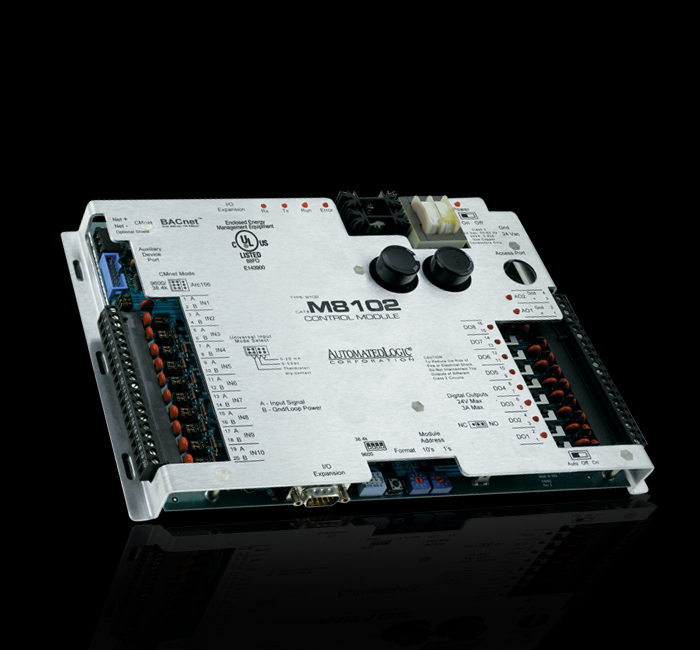 The MEx I/O expanders can be remote mounted or directly mounted on the ME controllers. 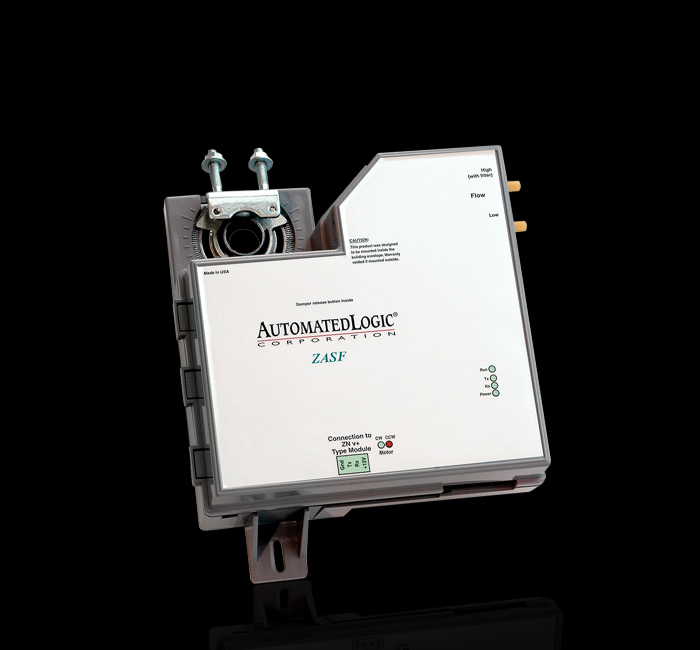 Automated Logic’s ZN341V+/zn141V+ are designed for a variety of pressure-independent VAV applications. 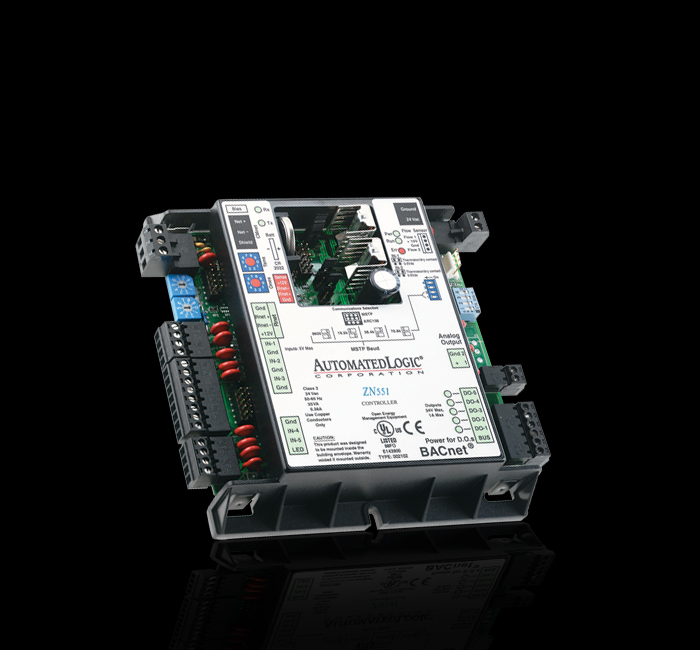 These advanced controllers feature an integral actuator, an advanced precision air-flow sensor, flexible connectivity to the full line of RS sensors and easy-to-use air balance routines. Sophisticated pre-engineered control algorithms reduce energy consumption, maximize actuator life and ensure occupant comfort. 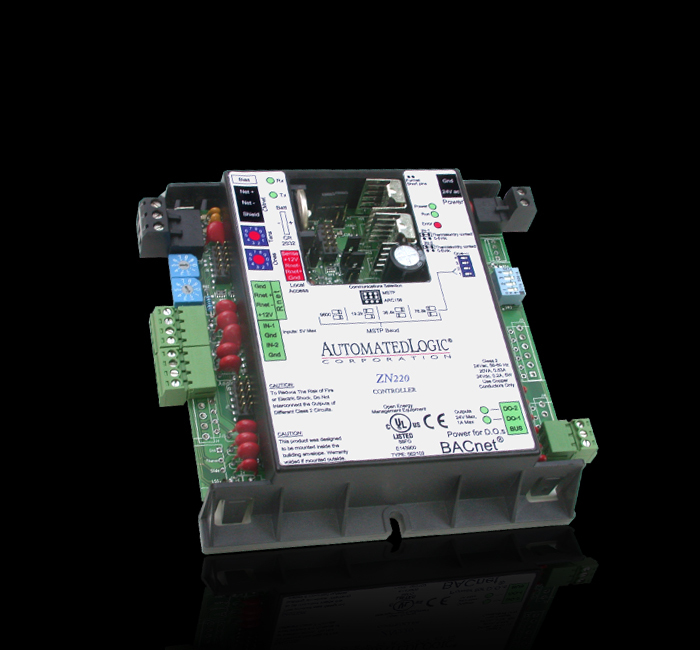 The ZN series controllers are fully programmable and provide networked peer-to-peer communications using BACnet-over-ARCNET 156 kbps or MS/TP. 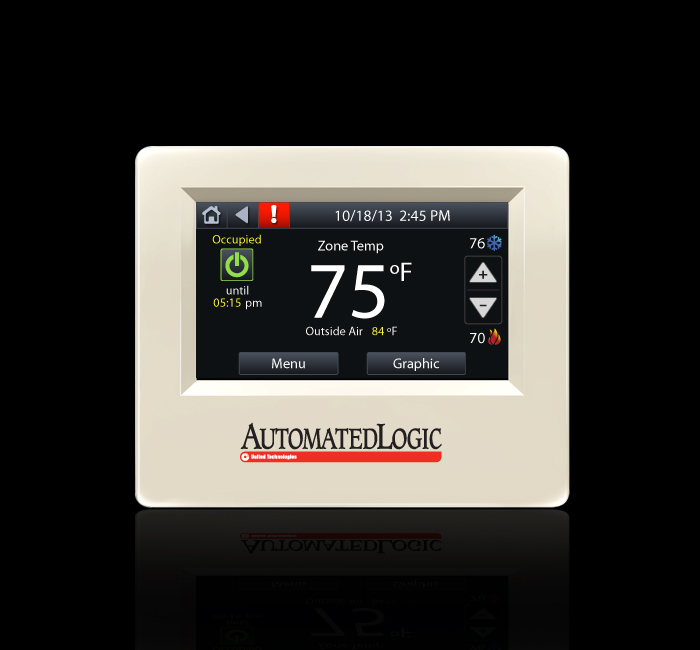 Programmed with Automated Logic’s ViewBuilder tool, the Equipment Touch color touch screen display can be used to provide a custom, graphic interface for the control of your equipment. Combining the features of our powerful multi-equipment controller with a high-speed BACnet router, the ME-LGR can do it all. Need 100 Mbps for communications to a critical control site? Need to control multiple pieces of equipment at that site? Need to integrate third-party equipment on a proprietary network with your BACnet system? No problem. The ME-LGR can do it all, and it can also serve as a router to controllers on an ARCNET 156 kbps or MS/TP network. 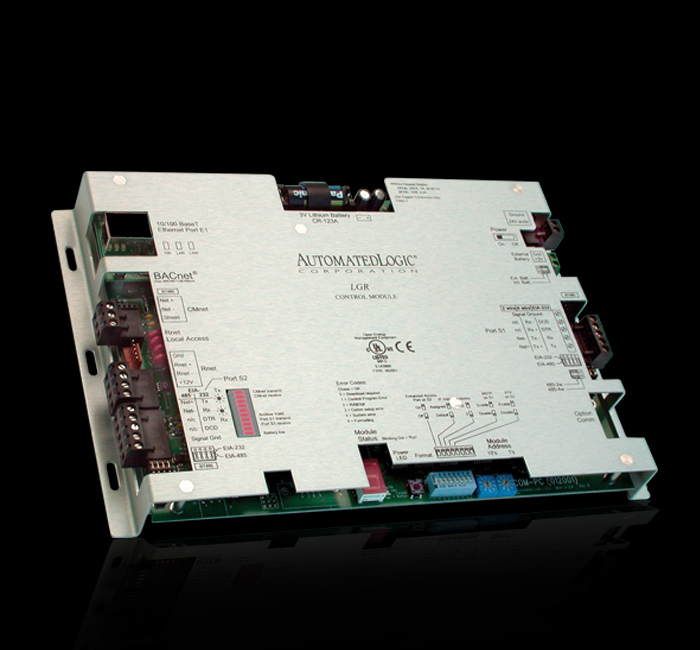 M Line controllers are ideal for multi-equipment applications in commercial environments. These robust stand alone controllers utilize native BACnet communications over a high-speed ARCNET 156 kbps network to ensure superior performance. 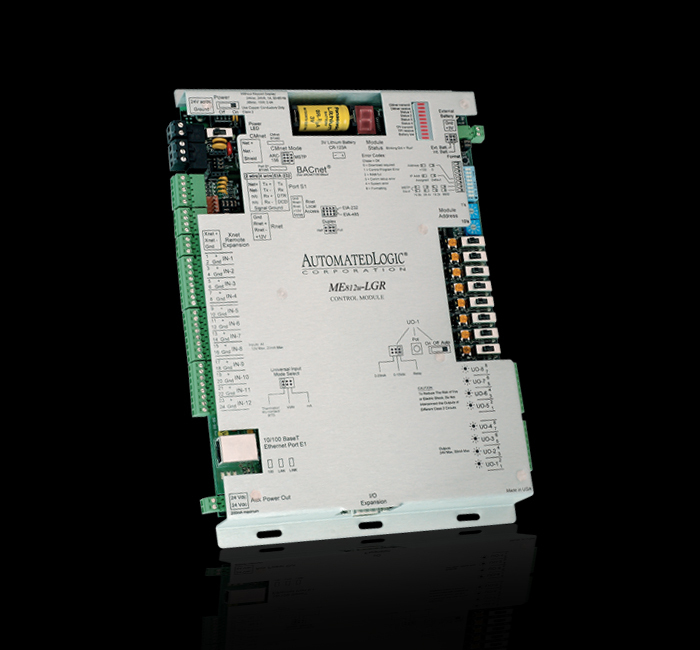 The ZN220 is a fully programmable, native BACnet Advanced Application Controller (AAC) designed for controlling a single zone in a building. 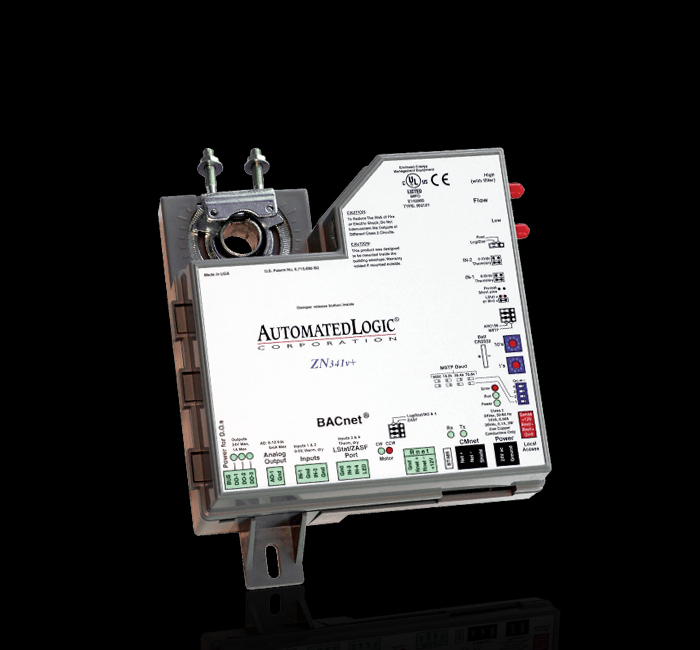 It communicates on an EIA-485 LAN using BACnet over ARCnet or BACnet MS/TP communications and connects seamlessly to the WebCTRL® building automation system.